We believe giving is about more than funding church services. As a grateful response to God’s gift to us through Jesus, generosity is about building a community and serving something larger than ourselves. Your donation will further Crestwood’s work in our neighborhood, in our city and around the world. Click the buttons below for ways to give. Thank you for partnering with our community. Giving via your smartphone is the easiest way to contribute to Crestwood. Text the amount you would like to donate to 804-404-8748. Or scan the QR code and enter the amount you would like to give. If it seems like there’s a smartphone app for everything these days — paying for coffee, checking in for a flight, arranging for a ride — it’s because apps make life easier. Church members are looking for the same ease and convenience when it comes to giving. 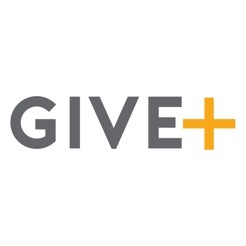 Get GIVE+Mobile for you phone or tablet today. Find Crestwood: Enter 23114 and hit Search. Select Crestwood from the resulting list. Select the fund you would like to donate to. Enter the amount you would like to donate, the frequency of your gift, the starting date and the amount. Enter your payment details. The Give+ app reads your credit card with your camera! Confirm your contribution. Thank you for your gift! Online giving on your desktop computer is quick and convenient; click below to make a one time or recurring contribution to Crestwood Church. You may mail check contributions to our office at any time, made payable to Crestwood Church. You are always welcome to visit the office and drop off your contribution at that time. Our office is open Monday – Friday, 8:30 – 5:00. God gives gifts and talents for the purpose of serving Him and His people. What is your gift? What is your passion? Did you know that God has in mind a very special purpose for you? Here at Crestwood, there are many opportunities to use your gifts and talents. Contact us today to learn more and donate your talents to our ministry.